Fun way to spend a Sunday! 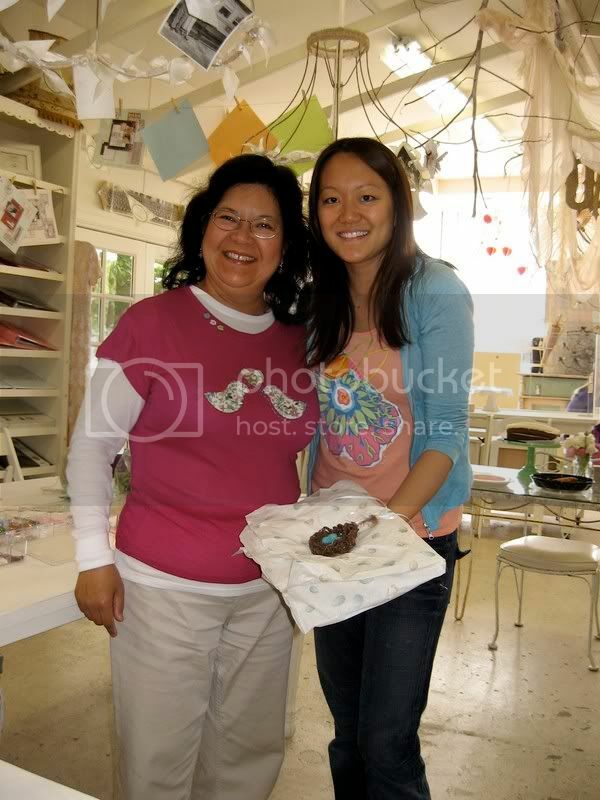 I had so much fun teaching the tote bag class at Sweetpeas and Snapshots ! 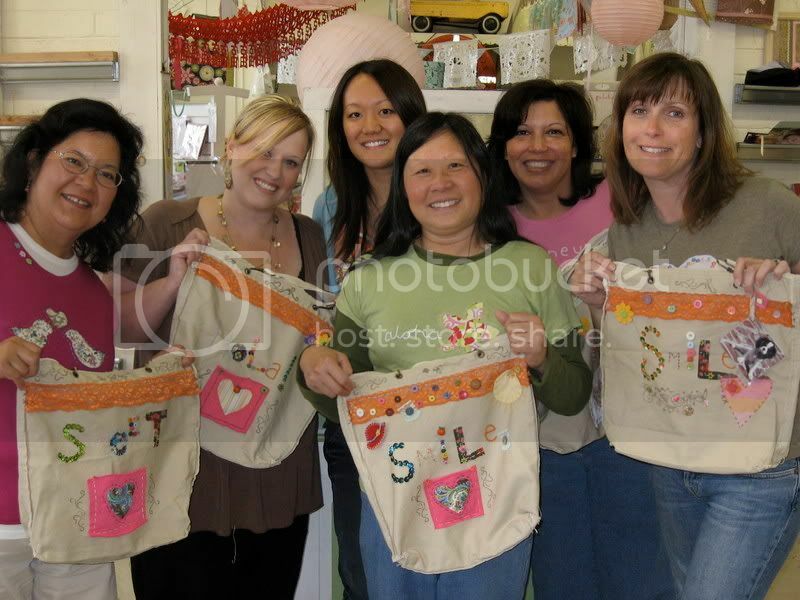 We had a great little group of ladies who made the loveliest totes. For some reason my camera was not working, but DeDe was kind enough to snap enough photos for everyone's blogging needs. Check out her blog here. Alice gave me a present before the class started, and it's a bird's nest pin cushion she got off of Etsy.com! I think she knows already how much a LOVE it, but one can never say too many thanks!! So sweet and thoughtful, these talented ladies were so much fun to be around. Everyone also loved mommy's crab rangoon rolls!